For the best vertical siding in Chicago, you’ve come to the right place. 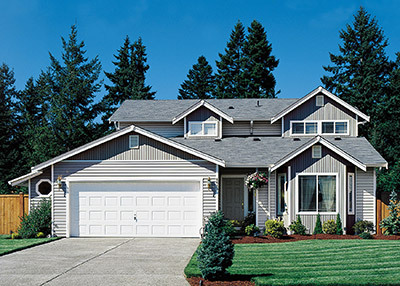 Feldco vertical vinyl siding is the absolute best in beauty, quality and energy efficiency. Vertical siding is perfect if you’re looking for a more contemporary design for your Chicago home. However, our vertical siding can match with any architectural style to give your home a custom look. From off-white neutral colors to shades of blues, greens and reds, there’s sure to be a vertical siding color perfect for your home in Chicago. Our siding professionals will help you pick the best match. Once you’ve selected the perfect color, you’ll never have to worry about finding the right paint to repaint your siding. The color is infused into the siding during manufacturing to ensure your vertical siding remains as beautiful as it did on day one. Chicago weather can be rough. Feldco vertical vinyl siding is tough. Our siding is designed to outlast the Midwestern climate. A full thermal support system tightly wraps around your home to make sure the elements stay outside. Our ComfortWrap 365 backing system has four times the R-Value of conventional siding that can help reduce energy costs by as much as 20%. You’ll begin saving money with Feldco vertical siding as soon as installation is completed. 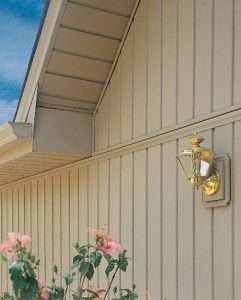 Our vertical siding is three times as durable as hollow-back siding. Feldco vinyl siding will never crack, warp, rot, swell or shrink. Along with superior durability, our vertical siding requires minimal maintenance. It’s resistant to mold, mildew, termites and other pests. You’ll also never have to worry about touching up your siding with paint because the color is baked in. Why Choose Vertical Siding for Your Chicago Home? Many people choose vertical siding to give their home an updated, more modern look. You can choose to mix and match your siding or completely wrap your home in Feldco vertical siding. Know that when you choose Feldco for your vertical siding, you’re getting the best quality on the market.